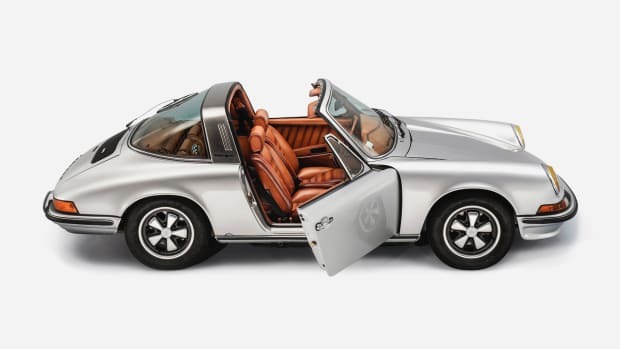 Gunther Werks, the Orange County startup dedicated to remastering the iconic Porsche 993, aka the last of the air-cooled 911 models, just showed it's got the guts to go the distance with one of its custom creations completing a 5,700-mile road trip. 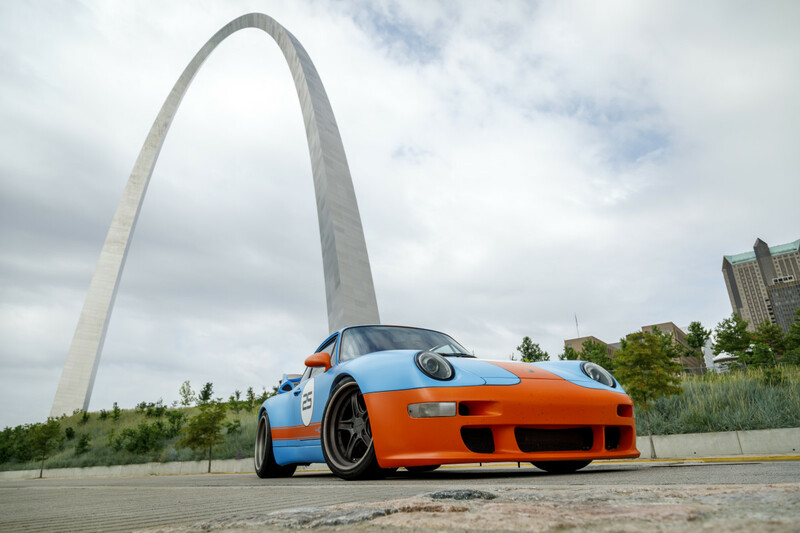 The stunning coupe painted in the Steve McQueen-style Gulf racing colors did the trip as part of the 2018 GoldRush Rally which took it to 11 cities in as many days en route from Boston to Las Vegas with a host of other cool cars. And while it may look reasonably stock from the exterior – although the rear wing is a bit of a giveaway – the 400R as it's called packs a whopping 430 hp engine that makes it a force to be reckoned with on any road or track. The journey tested its mettle in everything from 110-degree temperatures in the Arizona desert to blinding rainstorms across the Midwest and the thin mountain air of Colorado's famous Vail Pass, over 9,000 ft. above sea level. 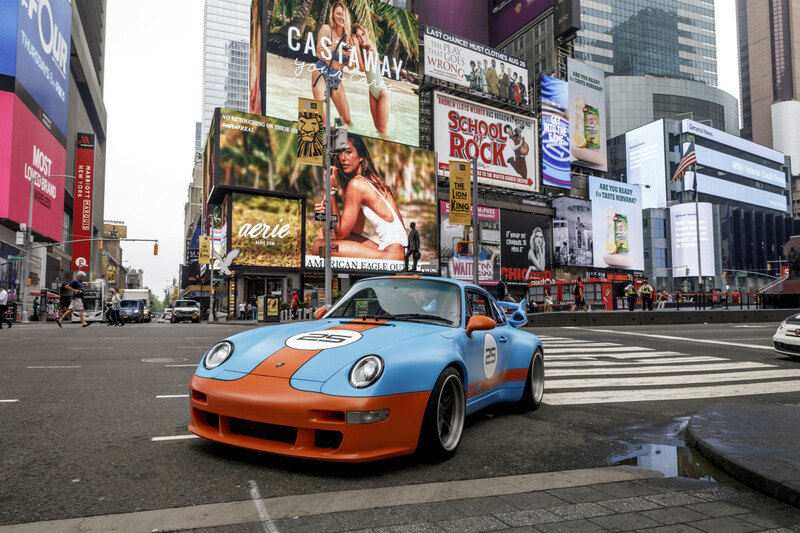 It even made a splash in New York's Times Square, whose inhabitants are notably difficult to impress, and participated in multiple track events at venues such as the M1 Concourse in Detroit and the world famous Indianapolis Motor Speedway. According to reports "the car performed impeccably and matched the pace of the several of the world’s fastest modern supercars without requiring any additional maintenance or modifications." 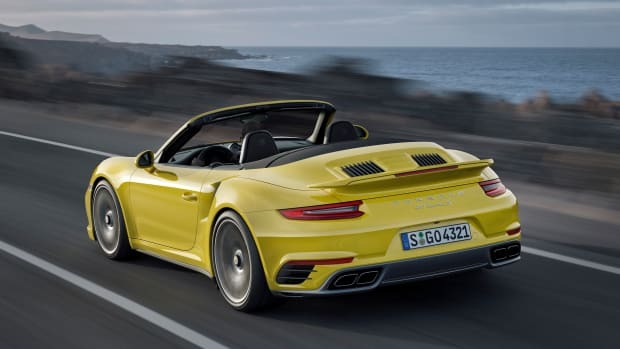 Driver Chad Phelps, an avid Porsche collector, describes the 400R's power as "very linear, progressive and predictable while maintaining the ability to coerce your body into the seat back." 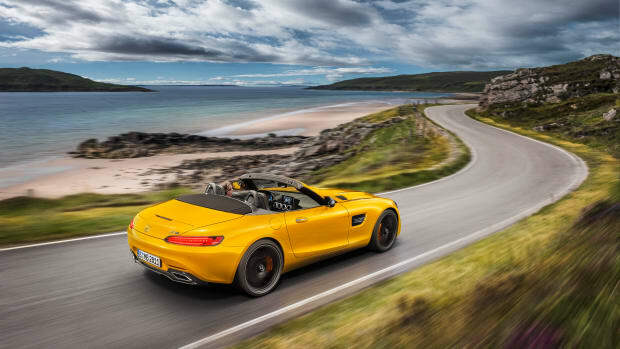 In sixth gear, he notes, "with the exhaust in hush mode, the car can be the exemplary highway cruiser however when you hit the backroads or the track it comes alive and the cabin fills with raw, unbridled engine noise." Want to order up a 400R of your own? Gunther Werks has said it will only build 25 examples of the eye-popping whip, and you can expect to pay at least $525,000 for the privilege of owning one after you've acquired a 993 donor car.